Here at Metrix we have enough silicon and tools to make anything your heart desires. 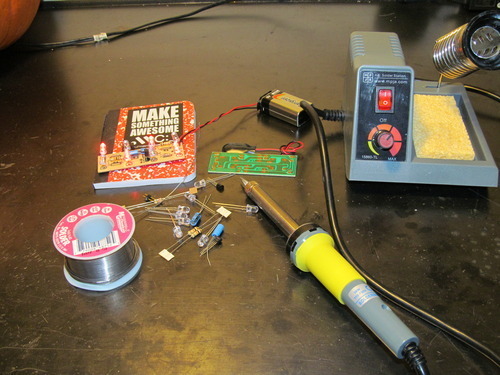 Reserve your seat at our soldering workshop and we can show you how to solder a simple circuit that results in some cool blinking lights. Soldering is a skill that is required if you want to take our upcoming Synthesizer or Robotics workshops . At only $50 the workshop will fill up quick. Space is limited so be sure to call or give us a visit before the next scheduled class on Sunday January 6th at 7pm.